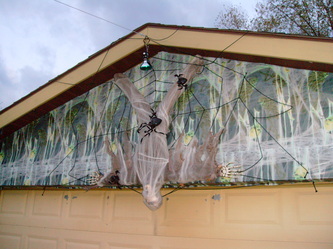 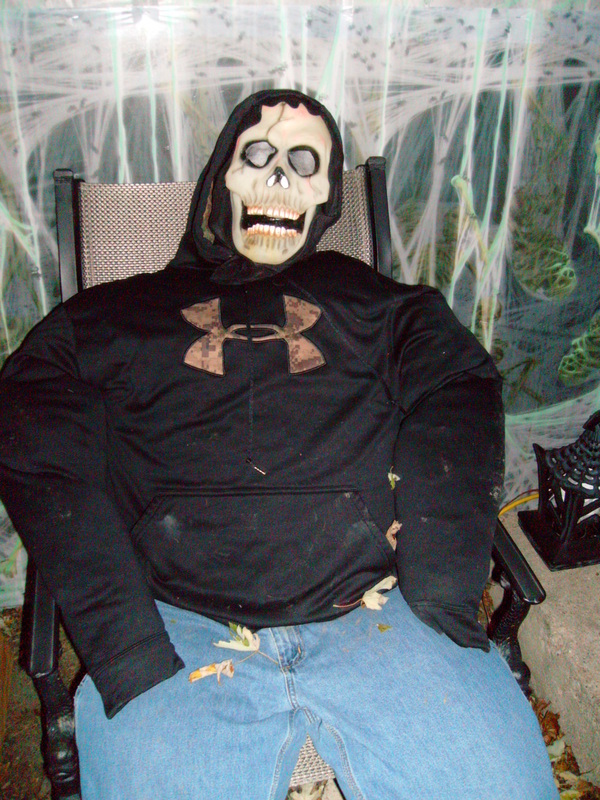 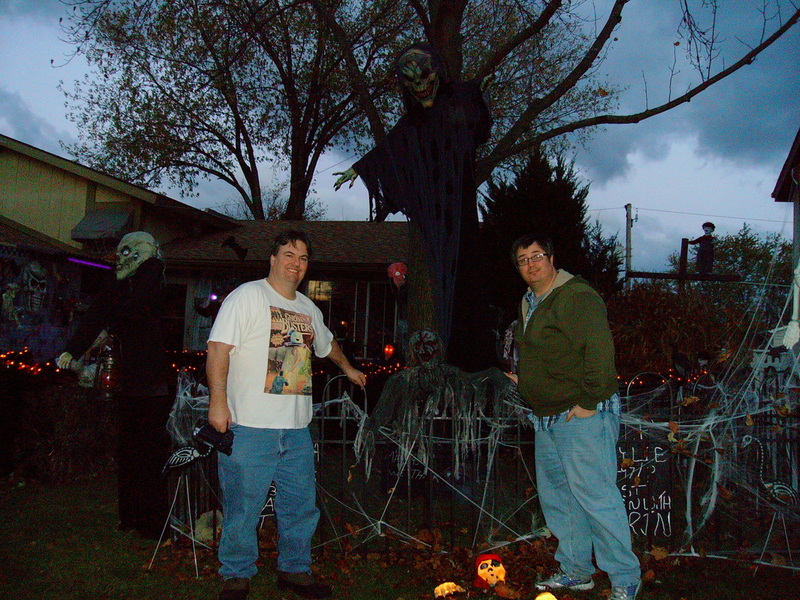 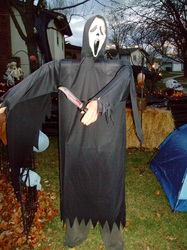 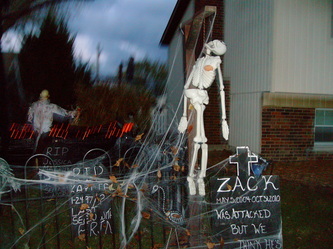 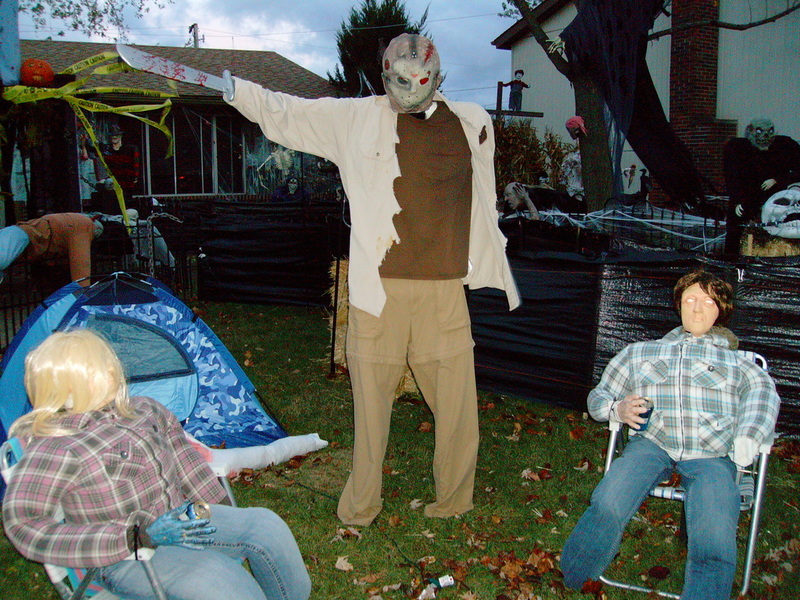 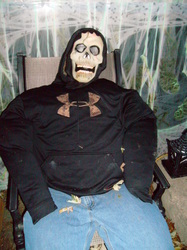 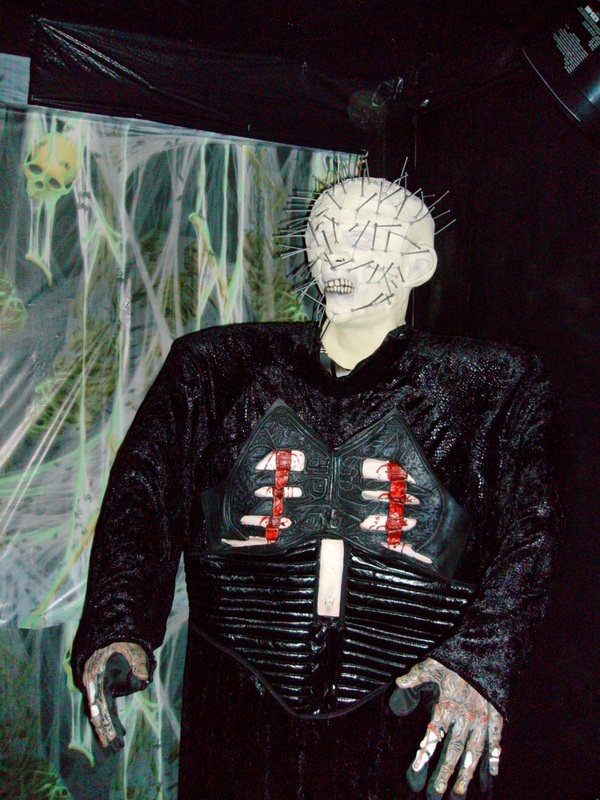 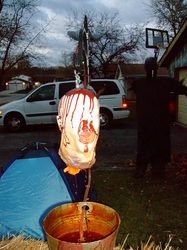 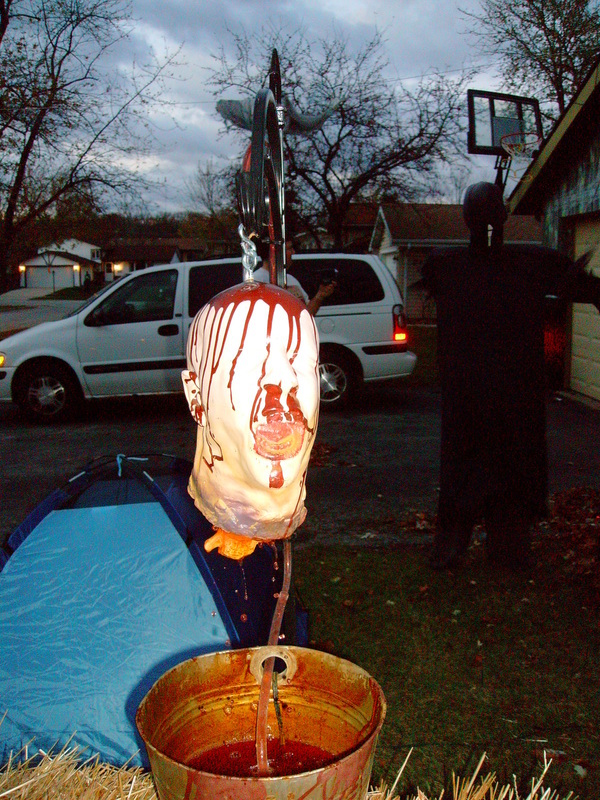 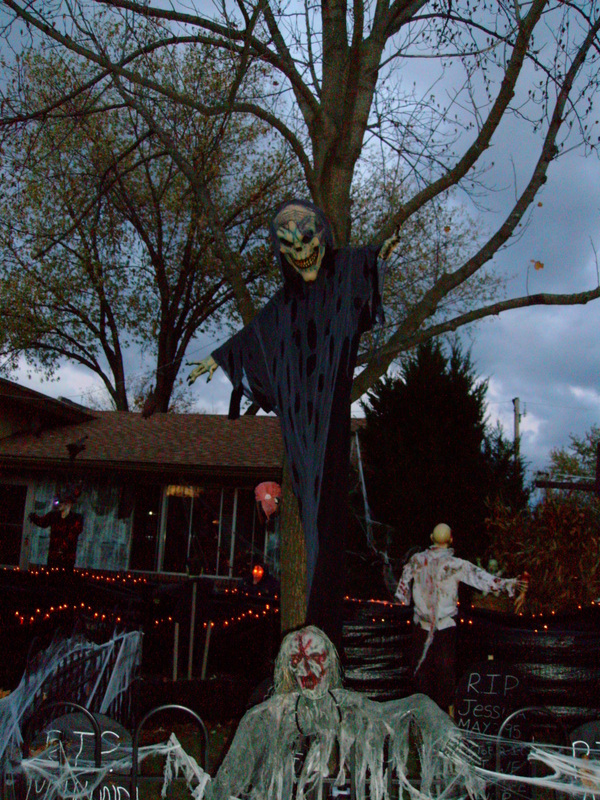 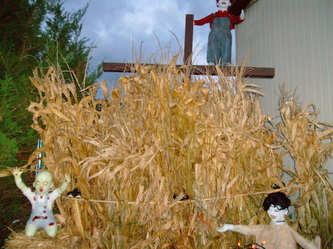 Nightmare in Newport is one of several quality yard displays in the Oak Forest area. 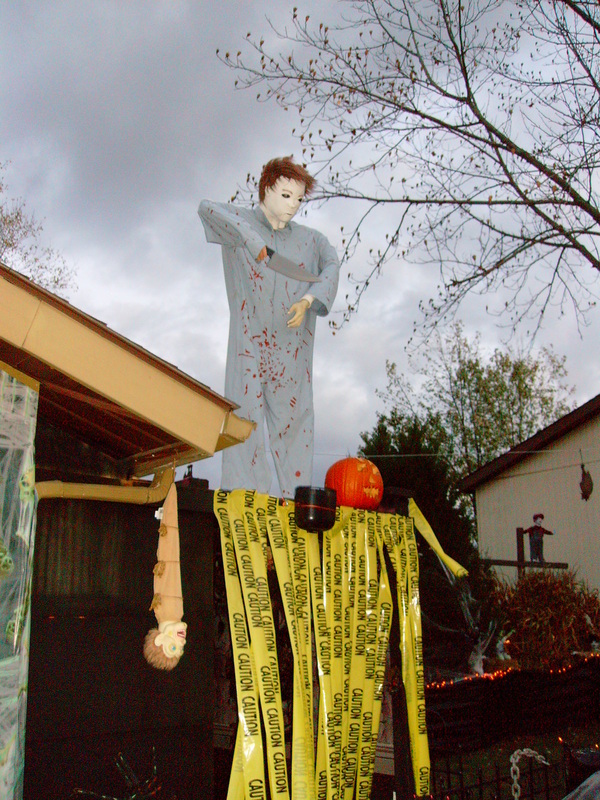 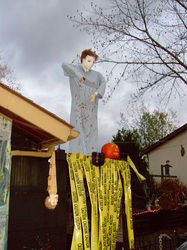 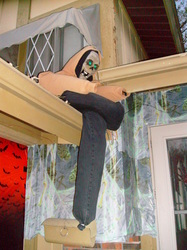 This particular display has been growing year after year, as the owner places his used Halloween costumes from previous years out on display. The display has a cinematic movie monster theme, including life size standups of Mike Myers (on the roof), Jason Voorhees about to kill some unlucky campers, Ghostface, Freddy Kreuger, and Pinhead from Hellraiser. Additionally, the display features some original setups, including a hooded skeleton in a chair, an unfortunate spider victim hanging upside down from the front of the garage, a butcher shop with body parts, some demon babies in cornfields (Children of the Corn, perhaps? 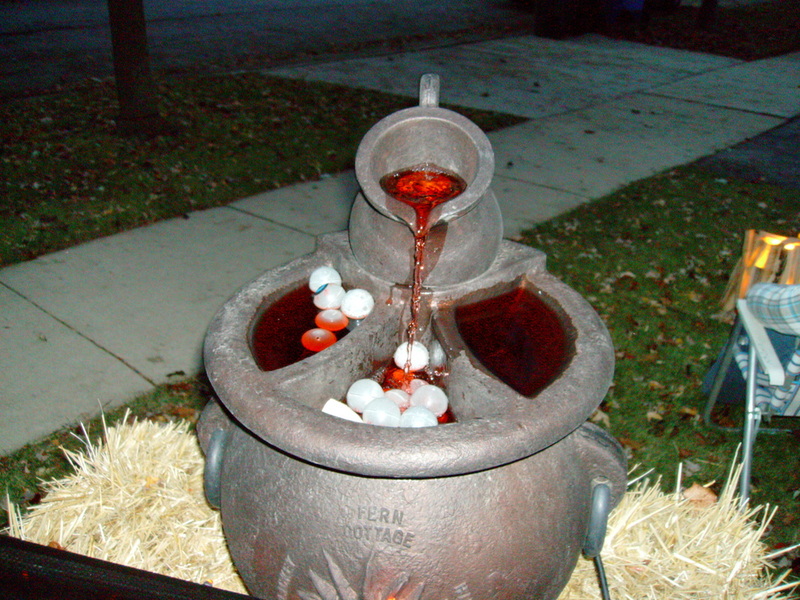 ), and a bloody fountain filled with eyeballs. When night falls, eerie lighting and spooky music accent the monster figures. 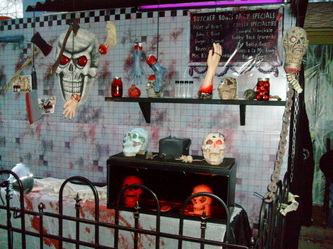 Although there are no animatronics, it's still a well set up display. 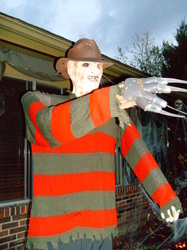 If you enjoy movie characters and are in the Oak Forest area, add this one to your list!